The main difference between steel and metal is that steel is an alloy made from iron metal, and metals are elements naturally present in the earth’s crust, and mined out from various parts of the world. 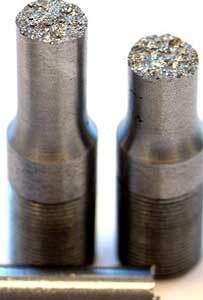 Metals are nonmagnetic, ductile and non-corrosive elements with high resistance to tarnishing. Metals are also safe, and have hygienic properties; they are present in the biological system of the human body, and not harmful when implanted. Steel is made by adding a controlled amount of carbon to iron. Different metals are added to make almost sixty grades of steel alloys. For example, chromium is added to steel for making stainless steel. Contrary to other metals, steel is known for its strength and fatigue life. It can bear tons of loads for a long time compared to other metals. Metal ores need to be refined before use. The impurities called slag, or other metals are removed. Then they are combined with other metals to produce more strength and qualities. Metals are plated to produce more shine and stability, such as brass is nickel-plated, or gold-plated silver. Steel is a compound of iron and carbon, made in furnaces. Steel has viscosity, and shrinks when cold. In extreme weather, conditions like cold temperatures can affect steel to brittle but metals can withstand minus temperatures. Metals have the attributes of luster, ductility and malleability, that make their application in various industries very easy. They are used for making coins, jewelry, weaponry, surgical implants, industrial products, household products, engineering and construction, architecture designing and decorative products. Steel is used for making strong structures, tools, auto vehicle bodies and other components, building material, bridges, ships, guns etc. Steel is corrosive, and can rust if carbon is present in a high content. It is magnetic, and not as powerful a thermal or electrical conductor as a metal. Steel is made hygienic by adding metals, for example chromium. Steel is a man-made element, and much cheaper than gold, silver, aluminum or other metals. Metals are expensive, and some of them are regarded as monetary objects, like gold and silver. Metals have high melting or freezing points; that means the freezing point of a metal is same point as its boiling point. The boiling point of steel is 3000 degrees. In this modern era of technology, nearly all metals that are found are either alloys or combined with other metals to improve their strength, hardness and resistance powers. Pure metals are not affordable to be used widely and economically. Steel is economical, and used for its weight bearing quality in numerous ways. 1. Steel is not a metal, but an alloy of iron, and fabricated in furnaces. 2. Metals exist naturally in the crust of the Earth, and are mined out of the ground. 3. Steel is strong, and made for structures used for the building of houses, sky scrapers, ships or guns. 4. Metals are malleable, ductile and used for making jewelry, decorative products and surgical implants. 5. Steel can rust, and is magnetic. Metals are anti corrosive and nonmagnetic, and are high thermal and electrical conductors. Jilani. "Difference Between Steel and Metal." DifferenceBetween.net. April 5, 2010 < http://www.differencebetween.net/object/difference-between-steel-and-metal/ >.